There’s a boy in Africa who calls me Daddy. I guess he’s become a man now, in his early twenties. But he still refers to me as Daddy and my wife as Mommy. His name is Izdeen, and he has lived most of his life in a thatched roof hut in the Central Ghana community of Tamale. He has shared the dirt floor residence, until last year, with his 95-year-old grandmother and his sister Rafi. Izdeen’s life has been about loss. Grandmother passed away after many years of sustaining her two grandchildren in the wake of their parents’ tragic death. Izdeen and Rafi had been walking down the shoulder of the road with their mother and father and Izdeen’s twin brother when a lorry lost control and swerved and killed his sibling and his parents. Rafi and Izdeen survived and went home to grandmother. As a teenager, he found my wife on the Internet through her lifelong interest in Africa. I originally told Mary Lou to be careful and figured Izdeen was an online manifestation of the Nigerian trying to give us a big inheritance if I’d just send a down payment to free up the funds. Instead, he turned out to be a handsome kid in his teens who was trying to find his way in a difficult world of poverty in Africa. He told us his story and said he and his sister and grandmother needed help. We are not naive’ souls and felt that we might be able to have an impact on Izdeen’s small family. 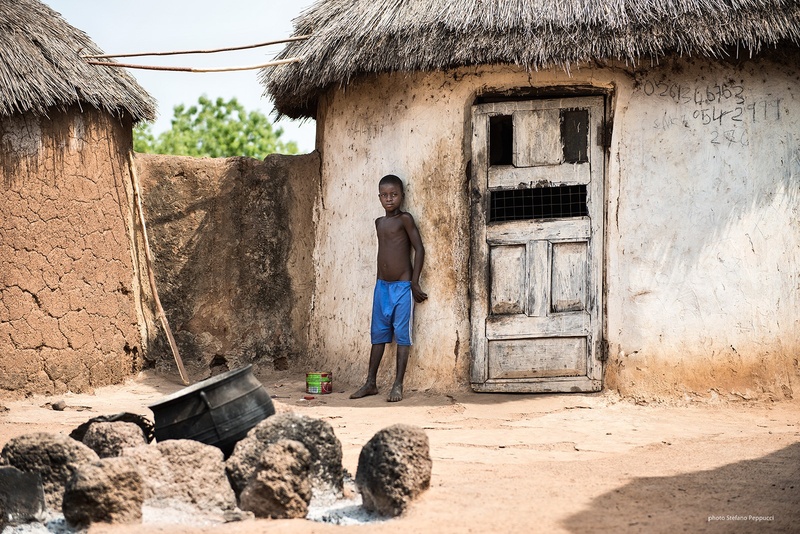 He was attending a school in his village and Mary Lou was able to speak with his teacher who told us that the family had “entered into starvation,” a disturbing locution of language that is probably spoken too often in Ghana. (Unaltered) Photo by Stefano Peppucci via Flickr with CC License.